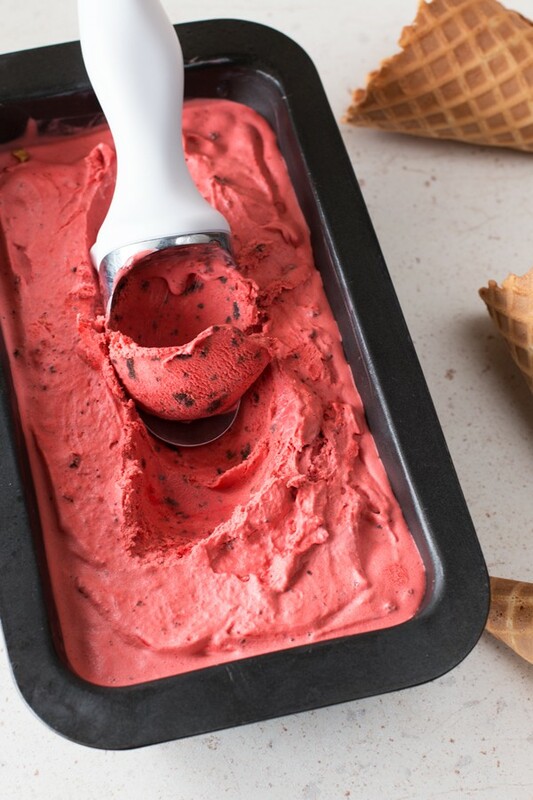 You are going to be OBSESSED with this Red Velvet Ice Cream with Brownie Chunks. It has all the flavor of a red velvet cake, but there’s this little tang you get from the buttermilk that makes you think there’s cream cheese frosting hidden in there somewhere. Sorry, I’m not sorry for sharing this oh-so glutinous ice cream with you all today. You might think that you’re going to be able to sneak in a little dieting before the holiday parties hit, but I am telling you NO. Yep that’s a big NO right there. 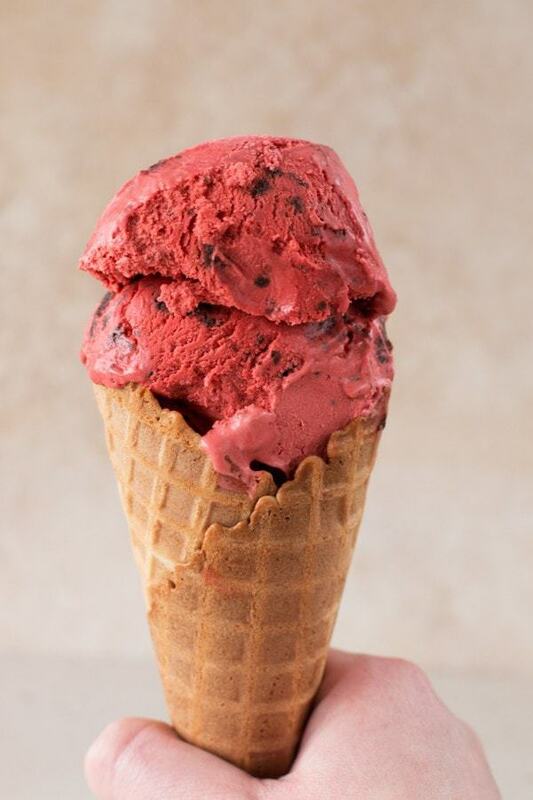 A big, creamy, rich, red velvet and brownie stuffed cone of NO DIETING. Red velvet cake is one of my favorite ways to indulge, especially around the holidays. That combination of red cake and cream cheese frosting is too festive to deny! I may not be as much of a diehard fan as my brother, who I am sure would say “red velvet cake forever, none other, end of discussion”, but I sure can’t resist it in any form. I am obsessed with this ice cream, there’s no other way to say it. It has all the flavor of a red velvet cake, but there’s this little tang you get from the buttermilk that makes you think there’s cream cheese frosting hidden in there somewhere. It’s just like biting into a slice of red velvet cake slathered in frosting, except smooth, cool, and satisfying in even more ways than a slice of cake could every accomplish. Part of this is due to me stepping it up with a bit of brownie chunks (because there’s no such thing as too much chocolate, don’t pretend that there is!). Now excuse me while I stuff my face with this red velvety goodness. If you want to come over, I might even share. 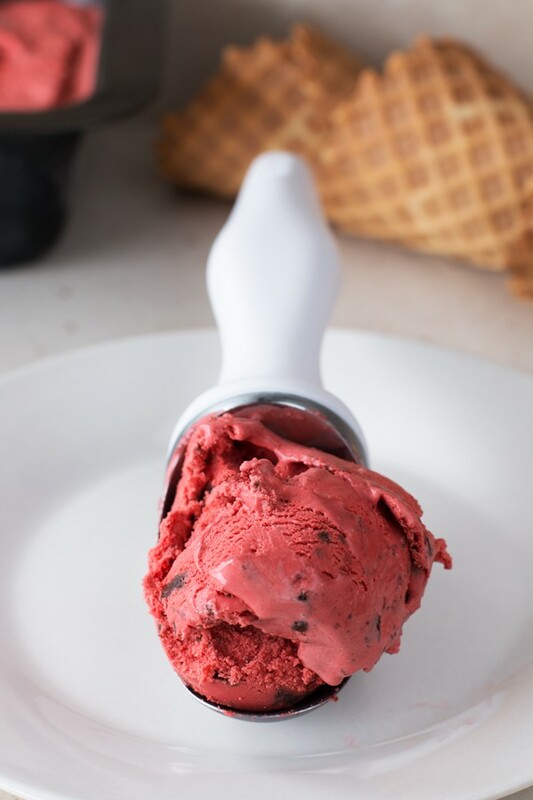 Pin this Red Velvet Ice Cream with Brownie Chunks recipe for later! 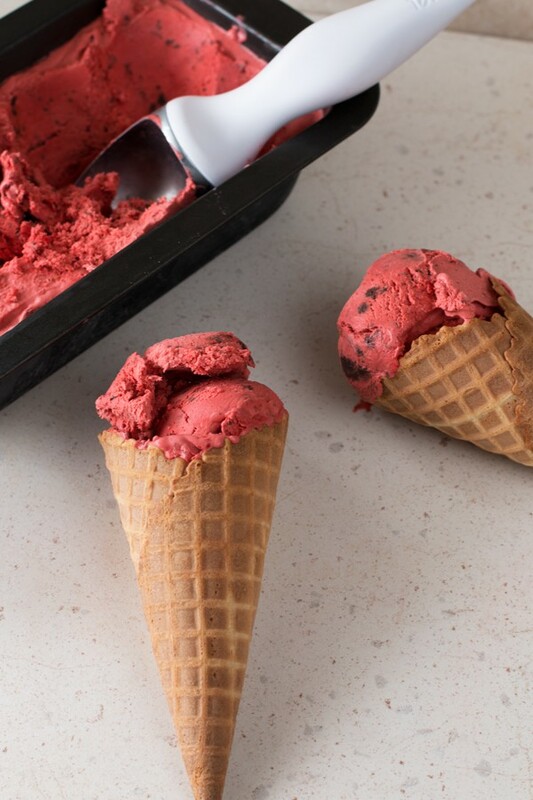 All the flavors you love about classic red velvet cake bundled into a luscious ice cream with brownie chunks. In a medium saucepan, combine the cream, buttermilk, 1/4 cup of the sugar, cocoa powder, red food coloring, vanilla, and a pinch of salt. 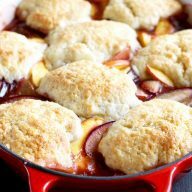 Bring the mixture to a simmer over medium heat, stirring constantly to dissolve the sugar. Once the sugar is dissolved, remove from heat. In a medium bowl, whisk together the egg yolks and remaining 1/4 cup sugar until combined. Add 1/2 cup of the warm cream mixture to the egg mixture, whisking as you pour it in until combined. Add the egg yolk and cream mixture back to the saucepan with the cream base and return to medium heat. Cook for 2 to 3 minutes, stirring constantly, until thick and the mixture coats the back of a spoon. Strain the mixture into a clean bowl and cool completely. To cool quickly, stash it in your freezer for about 1/2 hour or so. 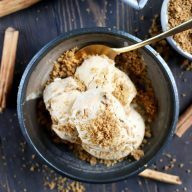 Once the mixture has cooled, add it to your ice cream machine and make the ice cream according to the manufacturer’s instructions. At the very last second, add in the brownie chunks and let the machine stir until the brownies are incorporated throughout. Freeze the ice cream for at least 5 to 6 hours in an airtight container before serving. Whoa! This looks amazing! 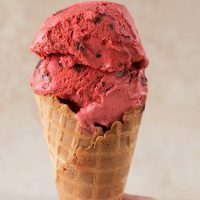 Red velvet cake in ice-cream form in ice-cream!? And…chunks of brownies! Ugh, yes please!